HEART managed the design, build and production of an interactive fan experience and premiere for UK distributor Entertainment One in London’s Leicester Square Gardens. 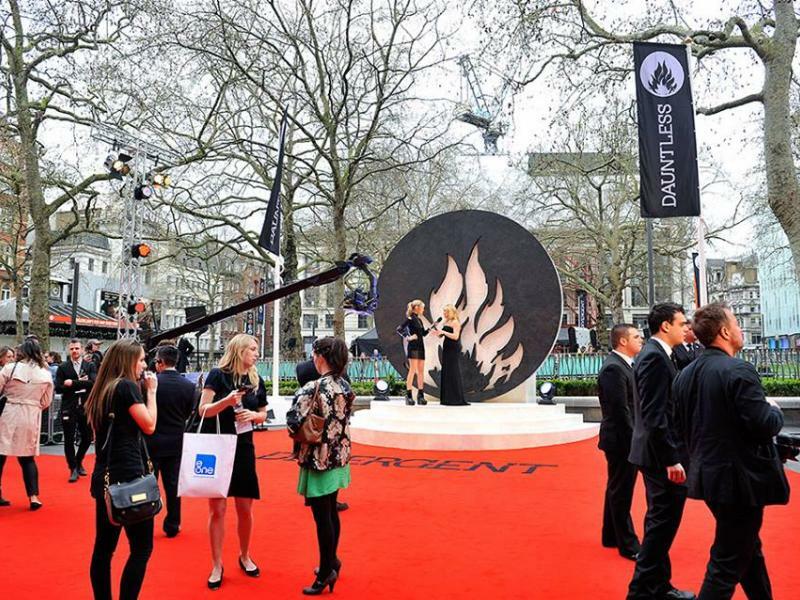 5,000 fans took part in a Fan Experience in Leicester Square Gardens, where movie highlights were recreated as part of the experience, similar to what Divergent’s protagonist Tris Prior undertakes in the film. These included 'initiation testing' into the clans of the movie (The Factions), and a 'Dauntless Training Camp', where fans could participate in exercises such as target shooting and rock climbing. The premiere at Odeon Cinema on the Sunday saw the red carpet being transformed into the film’s dystopian setting with the stars of the film Kate Winslet, Shailene Woodley and Theo James in attendance.